After long time finally SKODA has launched its New SUV “KODIAQ”. According to SKODA “ it will take you further than you ever imagined”. Ready to take on the toughest conditions, the SKODA KODIAQ radiates majestic power. 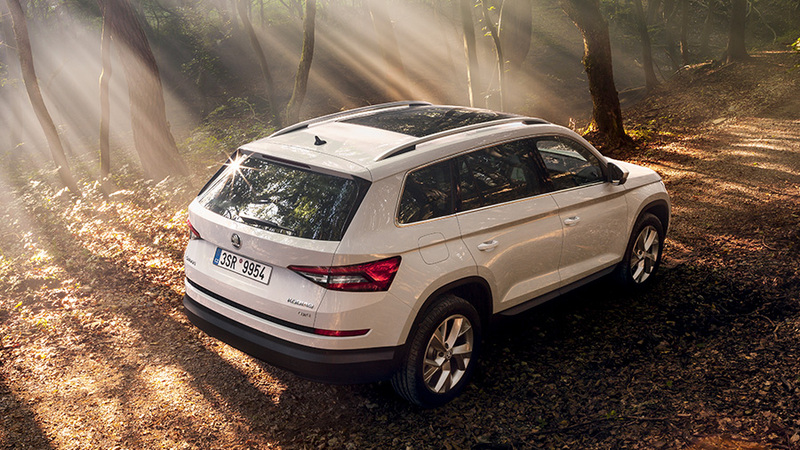 Its precise, sharp lines are shaped by SKODA’s new Design language for SUVs , making its distinctive, emotional and timeless. 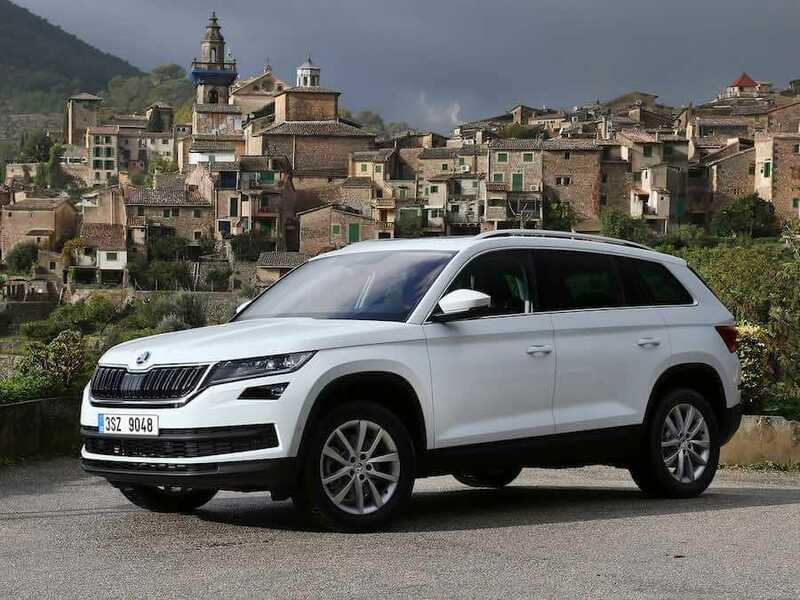 The KODIAQ is an muscular beauty that combines a robust body with impressive off-road capability. It is fully loaded with 2.0-liter Diesel engine with 7-speed DGS ( Direct Shift Gearbox) which produces 148 bhp @3500-4000 rpm and 340 Nm torque @1750-3000 rpm in fuel–efficient manner. Whatever the condition throw at a you, you will enjoy absolute comfort and fuel efficiency with a 4X4 drive. In 4X4 version there are 6 Drive mode you will get which includes SNOW MODE, ensure good handling even on low-grip surfaces. The roof railing emphasise the attractiveness of the exterior. Its rear crystalline designed lights refers to CZECH CUBISM and the country’s glass-making tradition. Their sharp lines and distinctive C-shape which makes it a typical of SKODA car. Rear lights penetrate deep into the fanders, thus also perfectly illuminating the car from the side. And from the top its electrically-adjustable panoramic sunroof , enhances the view of sky. The location of sharply drawn fog lamps at the height of the radiator grille, where they are protected from damage, clearly shows the car’s off-road ambitions. Furthermore the strip between the “cat eye” reflectors has an aesthetic as well as practical function. It runs around the edge of the luggage space, protecting the bumper from damage during load handling. A closer look at the strip reveals a honeycomb mofit. Moreover from the side , the sharp edges combined with smooth surfaces create unique conditions for the effective interplay of light and shadow. The square wheel arches, angular mud flaps with plastic edges and the protective sill covers show that this car is equally at the home on rough roads. From the inside you can find many new things like Power NAP PACKAGE, Cruise Control , ROLLER BLINDS FOR THE REAR SIDE WINDOWS which increase passenger comfort in the rear seats on Sunny days. In addition to the LED door lighting offers ten appealing colour options cool white, fire orange, Cinnamon, RS Red, Pink, Purple, Dusk blue, Azure, Skoda Green and Acid Green which increase the beauty of KODIAQ. In KODIAQ you can set different temperatures for the driver, co-driver and rear passengers. Its humidity sensor reduces windscreen misting . According to Dwheels Dazzling looks of KODIAQ , its wider size and 7 Speed power Transmission will disturb the market of TOYOTA FORTUNER and FORD ENDEAVOUR .Power wise TOYOTA FORTUNER having the edge. In term of long Length and Wheelbase , then FORD ENDEAVOUR got first prize between these three.